Let's say you're an athlete preparing for a race that could win you an Olympic gold medal. And let's say you discovered a performance enhancing drug that was completely legal and that would give wings to your feet. Horse trainers are now debating a possible ban on just such a drug that has been used for years to treat thoroughbred horses on the day of a race. The drug is a diuretic called Furosemide. Its nickname is Lasix. 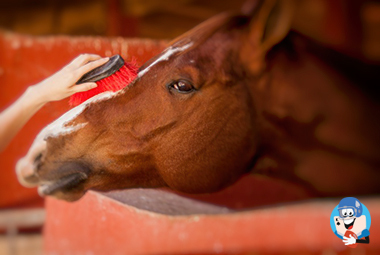 To understand how Lasix works, you need to understand the physical makeup of a horse. 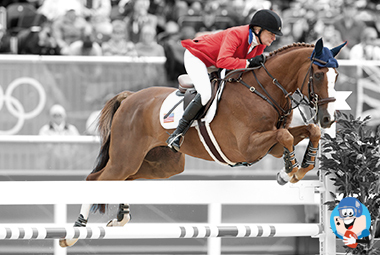 Approximately 80 percent of race horses bleed through the nostrils after a workout or a race. Some bleed a little, while others bleed a lot, and it often prevents a horse from winning a race. A trainer who administers Lasix to his horse must do so at least four hours before a race. The Lasix will induce a horse to urinate from 10 to 15 liters, which reduces a horse's weight 10 to 20 pounds. It also lets the horse race without bleeding and often results in the horse performing much better than if the horse had not been injected with the drug. Years ago when I was a horse player in Phoenix, AZ. I learned about the powers of Lasix from a horse trainer. Red was a friend who raced his horses at Turf Paradise. I often wrote gambling articles for my newspaper and would frequent the track looking for story ideas. As I walked near the paddock, I saw Red coming toward me leading a black three-year-old gelding. 'What're you up to, oldtimer?,' I said. 'Getting a horse ready to win his first race,' he said, smiling. The horse's name was Olliman. It ran in the seventh race and two minutes before post time, the horse was listed at 20-1. I flew over to a seller's window and wheeled the horse in a quinela race. If Olliman finished first or second, I had a winner. Red was standing near the finish line as the horses approached the starting gate. He took out a cigar and lit it. 'Did you bet my horse?,' he said. Red laughed and slapped me on the back. Olliman broke dead last in a field of eight. At the half mile post, the horse was running sixth. As they made the turn for home, Olliman started moving up on the outside. When they hit the finish line, Olliman was second and the winner paid $50 for a $2 ticket. My winning quinela ticket was worth $360. The drug works especially well in warm places with high humidity like Florida or Louisiana. My recommendation is that you check out horses that are using Lasix for the first or second time, since that is when the drug seems most effective. Lasix doesn't work every time, but when it does it gives a horse winged feet. Remember that the next time you visit a race track or an offtrack betting place and you find a first-time Lasix user. Good luck.